Presented as a course on the topic, Quantitative Finance traces the evolution of financial theory and provides an overview of core topics associated with financial investments. 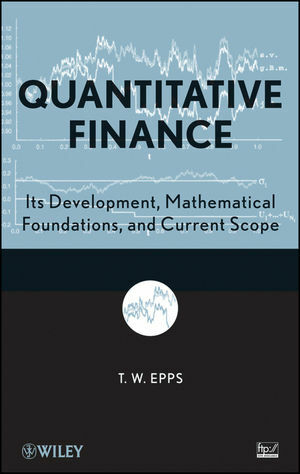 With its thorough explanations and use of real-world examples, this book carefully outlines instructions and techniques for working with essential topics found within quantitative finance including portfolio theory, pricing of derivatives, decision theory, and the empirical behavior of prices. The final chapters of the book delve into the paradigms of pricing and present the application of martingale pricing in advanced models of price dynamics. Also included is a step-by-step discussion on the use of Fourier methods to solve for arbitrage-free prices when underlying price dynamics are modeled in realistic, but complex ways. 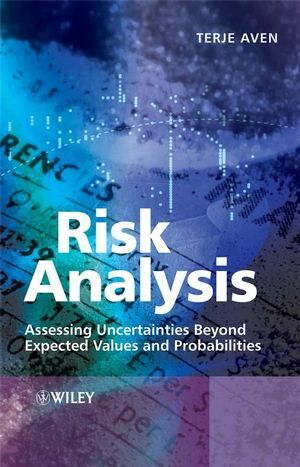 Throughout the book, the author presents insight on current approaches along with comments on the unique difficulties that exist in the study of financial markets. These reflections illustrate the evolving nature of the financial field and help readers develop analytical techniques and tools to apply in their everyday work. Exercises at the end of most chapters progress in difficulty, and selected worked-out solutions are available in the appendix. 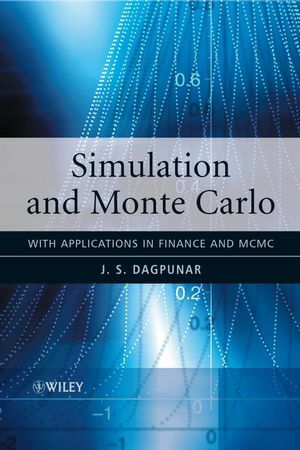 In addition, numerous empirical projects utilize MATLAB® and Minitab® to demonstrate the mathematical tools of finance for modeling the behavior of prices and markets. Data sets that accompany these projects can be found via the book's FTP site. Quantitative Finance is an excellent book for courses in quantitative finance or financial engineering at the upper-undergraduate and graduate levels. It is also a valuable resource for practitioners in related fields including engineering, finance, and economics. T. W. Epps, PhD, is Professor Emeritus of both Economics and Statistics at the University of Virginia. 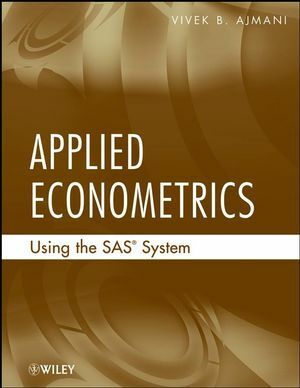 ?A member of the American Finance Association, the American Statistical Association, and the Institute of Mathematical Statistics, Dr. Epps has published numerous journal articles in the areas of statistical theory, financial markets, time series analysis, and econometrics. PART I: PERSPECTIVE AND PREPARATION. 1.1 An Elemental View of Assets and Markets. 1.1.1 Assets as Bundles of Claims. 1.1.2 Financial Markets as Transportation Agents. 1.1.3 Why Is Transportation Desirable? 1.1.4 What Vehicles Are Available? 1.1.5 What Is There to Learn about Assets and Markets? 1.1.6 Why the Need for Quantitative Finance? 1.2 Where We Go from Here. 2. Tools from Calculus and Analysis. 2.1 Some Basics from Calculus. 2.2 Elements of Measure Theory. 2.2.1 Sets and Collections of Sets. 2.2.2 Set Functions and Measures. 2.3.3 Properties of the Integral. 3.2 Random Variables and Their Distributions. 3.4.2 Conditional Expectations and Moments. 3.5 Changes of Probability Measure. 3.7 Laws of Large Numbers and Central Limit Theorems. 3.8 Important Models for Distributions. PART II: PORTFOLIOS AND PRICES. 4. Interest and Bond Prices. 4.1 Interest Rates and Compounding. 4.2 Bond Prices, Yields, and Spot Rates. 4.3 Forward Bond Prices and Rates. 5. Models of Portfolio Choice. 5.1 Models That Ignore Risk. 6. Prices in a Mean-VarianceWorld. 7. Rational Decisions under Risk. 7.1 The Setting and the Axioms. 7.3.1 Implementing EU Theory in Financial Modeling. 7.3.2 Inferring Utilities and Beliefs. 7.3.3 Qualitative Properties of Utility Functions. 7.3.4 Measures of Risk Aversion. 7.3.5 Examples of Utility Functions. 7.3.6 Some Qualitative Implications of the EU Model. 7.4 Is the Markowitz Investor Rational? 8. Observed Decisions under Risk. 8.1 Evidence about Choices under Risk. 8.1.4 Risk Aversion and Diminishing Marginal Utility. 10. Dynamics of Prices and Returns. 10.1 Evidence for First-Moment Independence. 10.2 Random Walks and Martingales. 10.3 Modeling Prices in Continuous Time. 10.3.1 Poisson and Compound-Poisson Processes. 10.3.3 Martingales in Continuous Time. 11.1.1 Ito Integrals with Respect to a B.m. 11.1.2 From It^o Integrals to It^o Processes. 11.1.3 Quadratic-Variations of It^o Processes. 11.1.4 Integrals with Respect to It^o Processes. 11.3 Ito’s Formula for Differentials. 11.3.1 Functions of a B.m. Alone. 11.3.2 Functions of Time and a B.m. 11.3.3 Functions of Time and General It^o Processes. 12. Portfolio Decisions over Time. 12.2.1 Optimizing via Dynamic Programming. 12.2.2 A Formulation with Additively-Separable Utility. 13.1 Optimal Growth in Discrete Time. 13.2 Optimal Growth in Continuous Time. 14. Dynamic Models for Prices. 14.2 Static Implications: The CAPM. 14.3 Dynamic Implications: The Lucas Model. 15.2.2 Implications of the Dynamic Models. PART III: PARADIGMS FOR PRICING. 16.1 Pricing Paradigms: Optimization vs. Arbitrage. 16.4 Pricing a Simple Derivative Asset. 17.2 Modeling Prices of the Assets. 17.3.1 The Feynman-Kac Solution to the P.D.E. 17.3.2 Working out the Expectation. 17.4 Allowing Dividends and Time-Varying Rates. 18. Properties of Option Prices. 18.1 Bounds on Prices of European Options. 18.2 Properties of Black-Scholes Prices. 19.2 Fundamental Theorem of Asset Pricing. 19.3 Implications for Pricing Derivatives. 19.5 Martingale vs. Equilibrium Pricing. 19.6 Numeraires, Short Rates, and E.M.M.s. 19.7 Replication & Uniqueness of the E.M.M. 20.1 Models with Price-Dependent Volatility. 21.3 Stock Prices as Branching Processes. 22. Options on Jump Processes. 22.2 A Primer on Characteristic Functions. 22.3 Using Fourier Methods to Price Options. 22.4 Applications to Jump Models. 23. Options on S.V. Processes. 23.3 Adding Jumps to the S.V. Model. Adheres to a self-teaching presentation style. Math tools are only presented as their applications are required. Important formulas and derivations are worked out in enough detail so that readers will learn associated techniques as well as results.